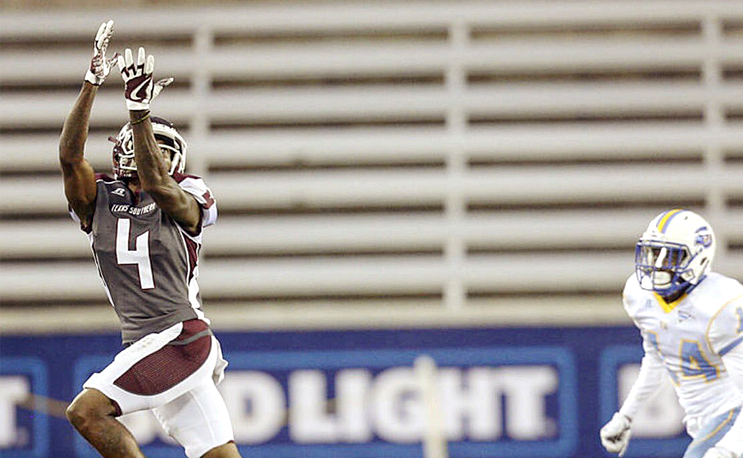 Former Texas Southern WR has some HBCU company in the nation’s capital. Former Texas Southern wide receiver Darvin Kidsy Jr. signed one of the most important pieces of paper in his life on Monday. His first NFL contract. The six foot 180-pound receiver was one of three players signed by the ballclub on Monday. “I Would Like to Thank The @redskins for the Opportunity to Be a part of Such a Great Organization ! This means the world to my family, my Team, and my school @txsotigers Truly a blessing!,” Kidsy typed on his Twitter account after signing the deal. As the roster currently stands Washington has five HBCU players on its roster. Kidsy was signed after competing in a rookie camp tryout over the weekend. Texas Southern struggled to pass the ball last season but Kidsy was far and away the best receiver on the team. He averaged just over 51 yards receiving per game last season with three touchdowns.